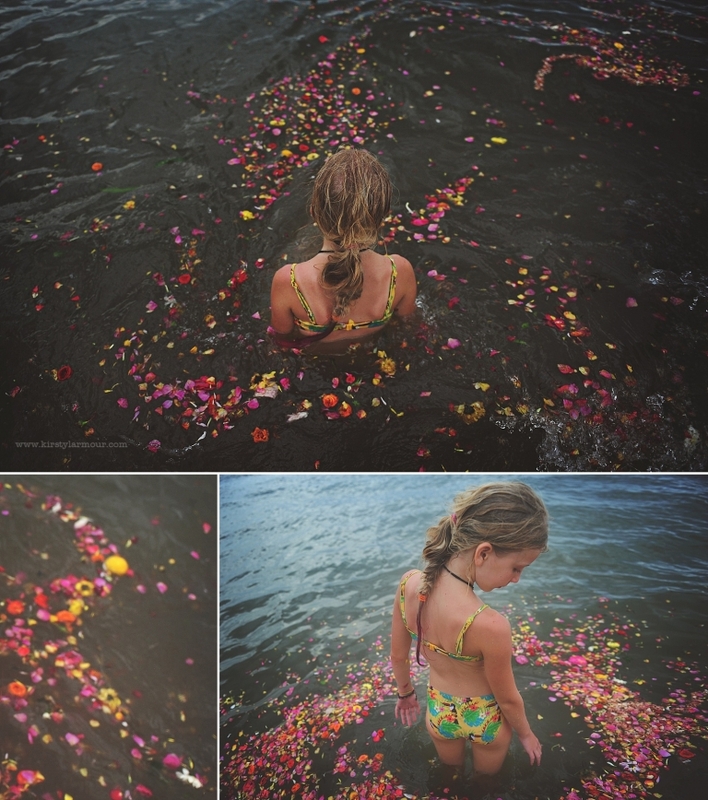 Last summer I was down on the beach with my kids and some dear friends when a thunder storm was looming – we were packing up to move the kids back home when some men came down and just dumped a whole sackful of flowers into the sea. 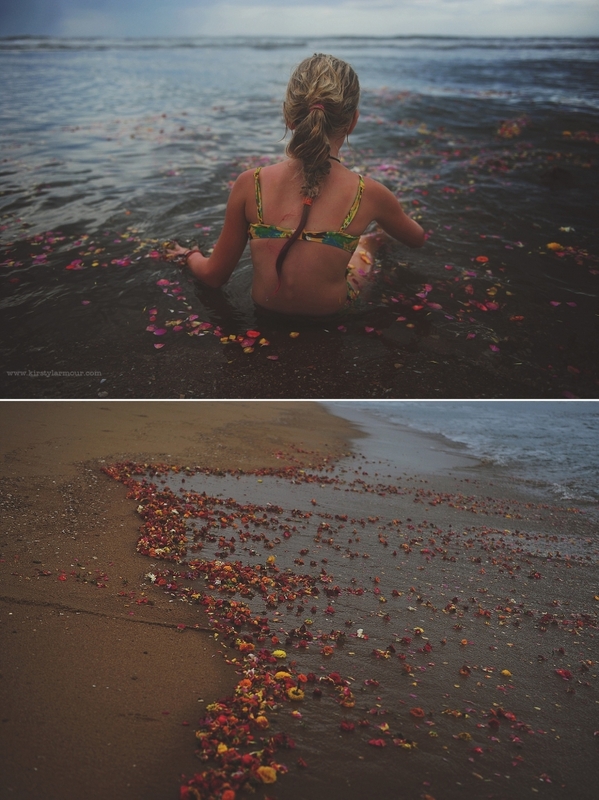 They washed up and down in the tide and scattered themselves along the shore. What was going on? Was it some kind of religious ceremony we shouldn’t intrude on? They were so beautiful I couldn’t hold back from going to ask, and I’m so glad I did – no damnation for committing some kind of cross-cultural faux pas was bestowed upon me, simply they were the remnants of flowers from a wedding at a nearby hotel being cast away, and left to create their own kind of newly woven temporary beauty… I was captivated. 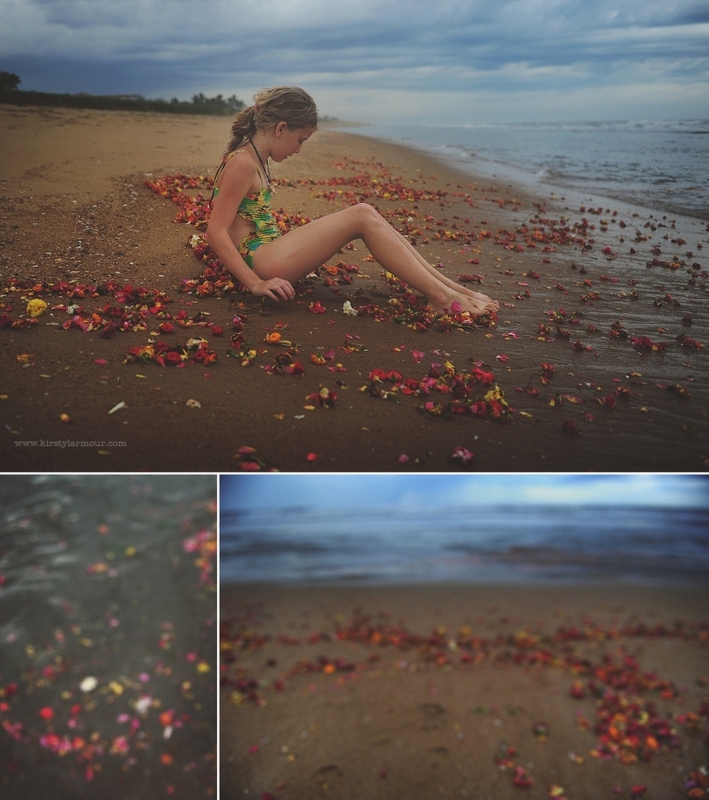 I tempted my girls to come and sit amongst them and watched as they washed up, to and fro, up and down, swirling in the slightly rough sea and a small rainbow of beauty under a sky that was looming with menace – such a contrast…. PS If you feel encouraged to capture beauty spontaneously please tag me (@kirstylarmour) on instagram and share – I delight in the delight of others, in seeing friends, strangers, students, grab those little moments of joy that make us smile in the every day. The small moments, the everyday moments, the messes and the beauty. And I’d love to see yours too. PPS My spontaneity is significantly more cautious when money is involved if I’m parting with my money I need to know it’s worth it. How do you feel about growing your photography and joining an adventure in India? If your curiosity means you want to know more then pop over to The Wondering Light – it’s the photography retreat in India that I’m running in March – it’s worth every penny (or rupee) I swear, because it’s exactly the kind of opportunity I know I would weigh up and then jump on. © 2019 Kirsty Larmour Photography – Lifestyle Photography Worldwide|ProPhoto Photographer Template|Design by Northfolk & Co.